Super Duper Gamer Team Entertainment: Steel Strider… reviewed! Have a taste for a new 2D platformer that gives you a blast from the past feel? 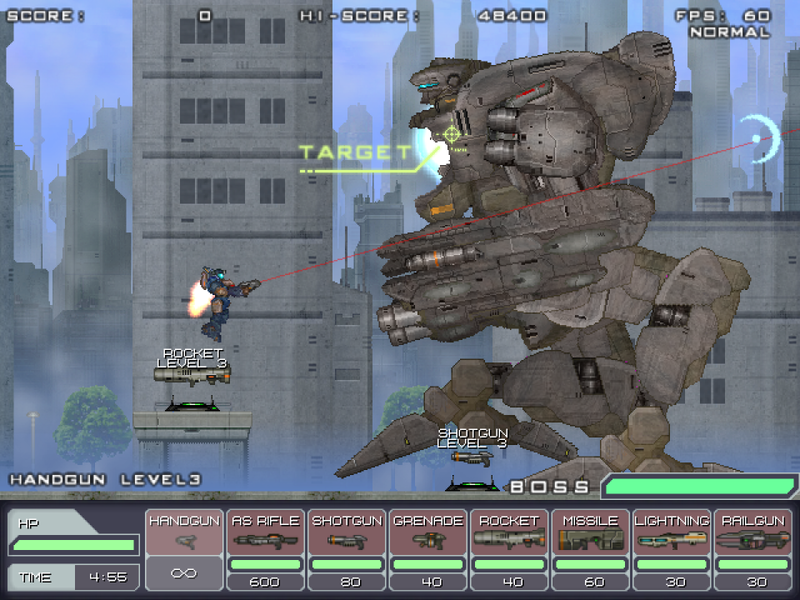 Steel Strider might be the game for you. This game is actually the follow up to a fan favorite (Gigantic Army)… paying homage to games like Turrican and Super Contra. Trust me, if you’ve ever played Contra (beyond lacking the ability to drop to a lower platform)… you will definitely feel the nostalgia in what is a really good game. Thumbs up to it being greenlighted on Steam, good games should not be overlooked. Anyway, in Steel Strider… you take on the role of an Argo Express operative manning a Gemini-class robot as you make your way through multiple planets full of mid and end level bosses. In this run and gun game… one thing I appreciate is the fact that it’s not set up with just a couple of platforms in most areas, this adds to strategy, especially for those of you who seek to play this game to capitalize on your competitive side. Awaken your old school senses and challenge friends to see just how far you can get… and how much you can score in person and on the Steam leaderboards (which adds to the replay value of this game). Visually this game is what it is, a mech field 2D explosive experience that truly helps deliver… exactly the way it should. Now before you ask what I could possibly mean by that… I’ll explain. The art is simple… and while not absolutely stunning, I really like how everything came together along with the fact that they didn’t just stick to delivering a game with just a few layers. The developer actually went hard not only to give depth to the layers used for the actual gameplay (which gives a 2.5D effect), but also the background that actually has a lot going on in some areas. This isn’t to over praise the game, but I do appreciate them going further to make sure it was… flat. There is fun factor here for fans of run and gun games… but I also feel that gamers who aren’t exactly familiar with these types of games, should consider at least trying them. You may appreciate the variety in the long run. I also enjoy the music in this game… it could have been dry, but its fist pumpingly energetic (yes… I said… pumpingly) and accompanies you throughout the game... so if you find yourself nodding your head, it’s okay! Price wise, this game comes in at just over $5 USD… so it gets a 5 on that note because it would’ve been solid at $9.99 USD. The only con I’d give this game are the sections where you’re expected to read… because it moves a bit too quick (at least for us). It’s not the end of the world… but for fans of storylines who want to maximize the value of their game by reading all the sections that connect the dots, it may be an issue. If there were to be an update, it would be to slow that down… considering the fact that we can speed it up to skip it if desired. 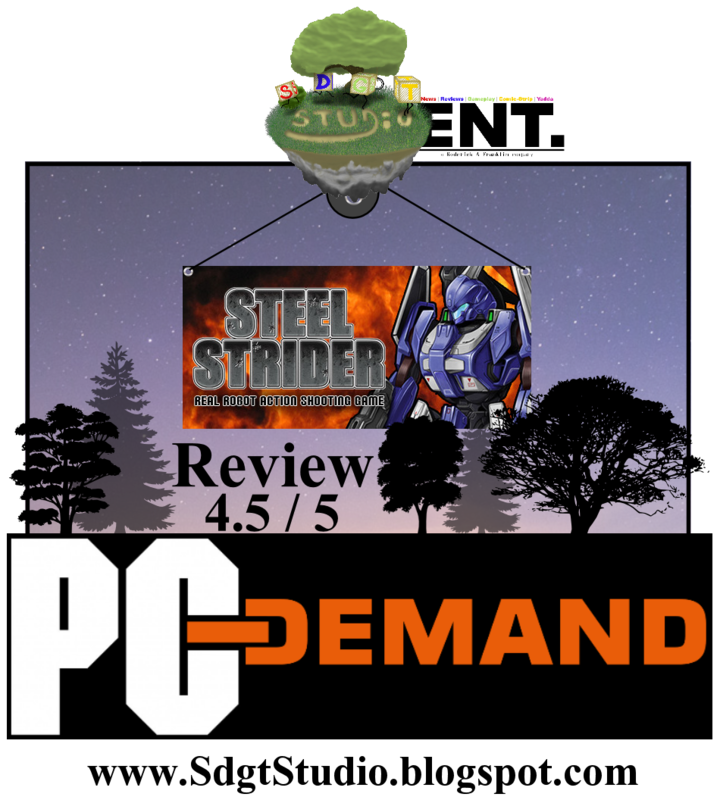 Overall, Steel Strider is a great 2D game that is an affordable option for those gaming on a budget… while at the same time being a good all-around game for anyone seeking enjoyable run and gun action (that either takes them back to the days of Super Contra or those who simply want to indulge for the first time).